The DTC1000 is the ideal card printing solution for small organizations that need a simple, reliable, and economical means of printing and encoding identification cards. This printer provides quality custom printing and encoding in one pass. The Fargo DTC1000 printer/encoder utilizes simple cartridge supplies making ribbon changes and basic cleaning easy. Its compact size allows it to fit perfectly on a small office table. 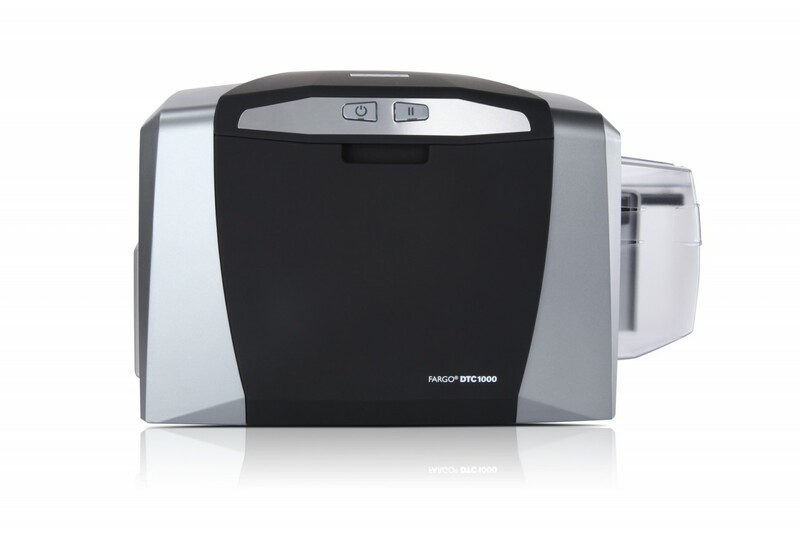 The Direct-to-Card printer is backed by a manufacturer 2 year warranty. Software drivers: Microsoft® Windows® 2000, XP, Server 2003 and 2008 (32 and 64 bit); Linux Driver includes Fargo Workbench Printer Utility and Swift ID™.